Vanilla Lip Balm is an amazing organic lip balm enriched with Shea Butter, Coconut Oil, Macadamia Nut Oil and Vitamin E to naturally nourish and protect lips. 9 simple ingredients to make one amazing product. Shea Butter, Coconut Oil, Macadamia Nut Oil, Candellila Wax, Capric/Caprylic Triglyceride, Vitamin E, Natural Flavour, Stevia, Mica. Milla FairyGloss is an amazing mineral lip gloss enriched with Single Origin Jojoba Oil, Vitamin E and PALM OIL FREE, organic ingredients to naturally nourish and protect lips. A rich Super Gloss Neutral Shimmer. Aqua (Water), Oryza Sativa Wax (Rice Bran Wax), Olea Europea fruit oil (Olive Oil), Vegetable Source Cetyl Alcohol (Coconut), Coernica Cerifera (Carnauba Wax), Euphorbia Cerifera (Candelilla Wax), Vegetable Glycerin, Stearic Acid, Acacia Gum, Black Iron oxide (CI 77499), Aminomethyl Popandiol (Ph Adjuster), Phenoxyethanol (Preservative). 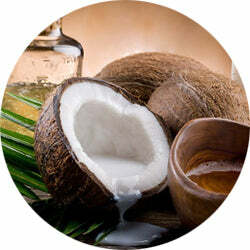 Coconut oil will not coat and smother your skin like petroleum based products, and moisturizes deep down. Its fatty acids hold onto moisture, and can help reinforce the skins lipid layer promoting hydration. 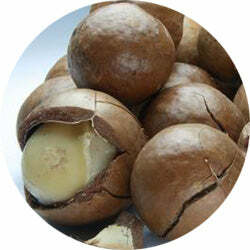 Macadamia nut oil contains very high levels of oleic acid and aids in the overall strength of the body’s bones, tissues and cells through the quantities of magnesium that it provides. Post pictures and see what other people are saying about our amazing organic lip balms!